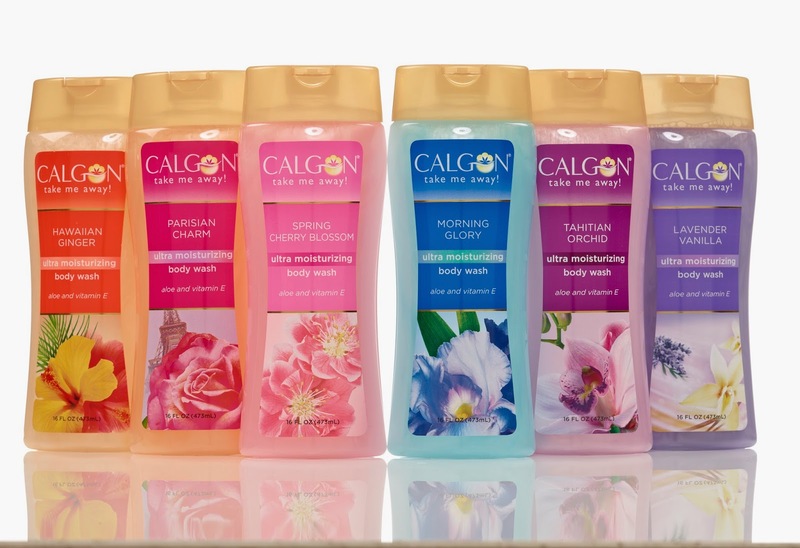 Calgon Take Me Away Review & Giveaway! Good morning darlings! We all know how much I love to pamper myself! Wether it be a simple at home manicure, face mask or a full blown all out pamper night with a bubble bath and all of the above. I am a firm believer in giving yourself a reward night. Maybe your aced an exam or showed that meeting you had been freaking out about all week who's boss, perhaps your a new mom that finally got your baby to sleep through the night! What ever the case may be you deserve a reward! I'm not saying go on a shopping spree or anything. I mean unless you got that kind of bank roll you can then knock your socks off but for a simpler and an at home approach. Recently I was sent the full collection of products from Calgon's in Lavender Vanilla. As a person who absolutely adores the scent of lavender & vanilla I was very pleased with the scent. Naturally as soon as it arrived I knew I needed to schedule a self pamper night ASAP! So on a perfect appointment free friday I lit some candles, grabbed my kindle and Calgon goodies and set my self a meeting with my bath tub! I started off with the Bath Beads and figured what the heck lets add some Bubble Bath in there too! Immediately my bathroom was filled with the relaxing aroma of Lavender Vanilla and I knew as soon as I sunk into the tub with bubbles up to my neck it was going to be a fantastic night. The bath beads & bubble bath are infused with aloe and vitamin E and the ultra moisturizing formula felt like silk on my skin. After running out of hot water (anyone else use all the hot water when they shower? I mean an hour just simply isn't long enough LOL) I emerged from my shower and began to massage my Body Cream into my skin. The thick creamy aloe and shea butter rich lotion felt amazing and completely nourishing on my skin. Since I was going to bed, I opted to not use my Body Mist but saved it for the following morning while I was getting ready. Now that I'm sure I have you craving a relaxing pamper night of your own let me be the bearer of good news! Nski Beauty is giving away the full Calgon collection to one lucky reader and you get to pick your scent! This gift is open to U.S. residents and ends June 4, 2014. Good lucky everyone! Disclosure: Compensation was provided by Calgon via Hollywood Public Relations. The opinions expressed herein are those of the author and are not indicative of the opinions or positions of Calgon. I would love either Cherry Spring Blossom or Lavender Vanilla! This momma is much overdo for a Calgon take me away moment! Hawaiian ginger. I need a pamper night because we are moving and packing is killing me. Morning glory! and I need to pamper myself since I'm 9 months pregnant and was just dx with bronchitis :( I could use a pick me up!